My second quote for the ‘Three Quotes for Three Days’ challenge – an invitation from British author and blogger Frank Parker – comes from Ana Júlia Ribeiro, a sixteen-year-old, public high school student in Curitiba, capital of the State of Paraná in South Brazil. It’s an excerpt from her ten-minute impassioned address before the Paraná State Assembly on October 26, 2016, in defense of the student occupation of their high schools. Our flag is Education. Our only flag is Education. We’re a nonpartisan movement. We’re a movement by students and for students. We’re a movement that cares about future generations. A movement that’s concerned about society. Concerned about the future of the country. What future will Brazil have if it doesn’t want a whole generation to develop critical thinking? People must have a political, critical sense. People shouldn’t just believe any stuff they read. We must know what we are reading. We must stand against functional illiteracy which is a major problem in Brazil today. That’s why we are here, and that’s why we have occupied our schools. That’s why we have raised the flag of Education. 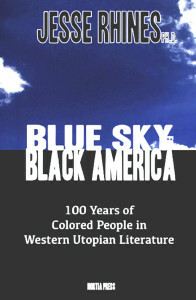 The book, Blue Sky for Black America: 100 Years of Colored People in Western Utopian Literature, captured my interest as a lover of science fiction. Based on his early experience as an IBM Systems Engineer Trainee, the author Jesse Rhines applies IBM’s “blue sky” utopian approach to formulating its hundred-year projection in addressing urban hopelessness among underclass Black youth. He argues that hopelessness, a future oriented condition, requires a future oriented solution. After mailing my divorce papers to my mother in the United States, five years went by before I heard from her attorney that the application for permanent residence for me and my two sons were finally being processed. On the chance that our application might be approved, I began preparing my sons, then sixteen and eighteen years old, for life in an English-speaking country. Ten years earlier, after their father left Brazil to return to Guyana, my sons had stopped speaking English. To ensure that they did not forget the English language, I continued to speak to them in English. Later, when they started high school, it helped that English was part of their school’s curriculum. They both excelled in English grammar and vocabulary. During our reading sessions, we took turns at reading out loud. Their reading proficiency in English surprised me. Whenever we came upon a word or expression that they did not understand, I translated it to Portuguese. To determine their level of comprehension, I ended each session with a brief discussion. While I did not get them to comment on the story in English, I was satisfied that they were hearing themselves speak the language. From my own struggles in learning to speak Portuguese, I knew what an important step this was for them. Happily, they enjoyed the stories and looked forward to our reading sessions. While preparing this blog post, I asked them which story was their favorite. His older brother couldn’t decide. “I enjoyed them all,” he said. 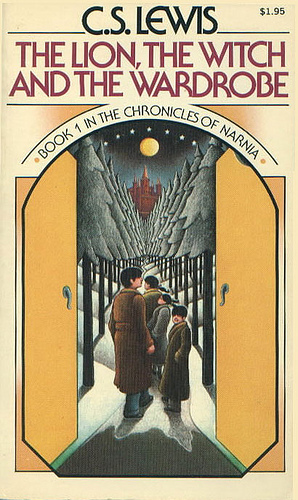 The Lion, the Witch and the Wardrobe was the last book we began reading together. By then, there were so many other pressing matters to attend to regarding our immigration process that we never completed the book. As in real life, we did not know what lay ahead for us, beyond the wardrobe, in our future adopted homeland. Which Foreign Language Should I Learn? Before Guyana gained its independence from Great Britain in May 1966, we knew more about Britain than we did about our own country. In high school, we studied British history and literature. Until the publication of Geography of Guyana by Guyanese Professor Leslie P. Cummings in 1965, we had no geography textbook on Guyana. In Form I, our first French and Latin classes began with the conjugation of the verb to love. Although located on the mainland of South America, Guyana remained an island of English-speaking people on a continent dominated by Spanish and Portuguese. Learning French guaranteed our isolation from our continental neighbors. After Guyana gained its independence, high school students had the option of choosing between French and Spanish. Latin lost its relevance for our new nation. While I never had the chance to show off my French, it proved quite useful when learning Portuguese. I observed several similarities between the two Romance or Latin languages: sentence construction, verb conjugation, and gendered nouns and adjectives. In the 1980s when the Guyanese government banned the importation of a wide range of consumer products, language was no barrier for the rise of a new type of Guyanese entrepreneur: the huckster. While the majority of hucksters traveled to the English-speaking Caribbean islands of Barbados and Trinidad to purchase food and other consumer products for resale in Guyana, others ventured into neighboring Suriname (Dutch) and Brazil (Portuguese). Dense forest terrain along the Venezuelan border deterred this type of informal trade in contraband goods. Over recent years, Guyana’s relationship with its southern neighbor, Brazil, has grown immensely. 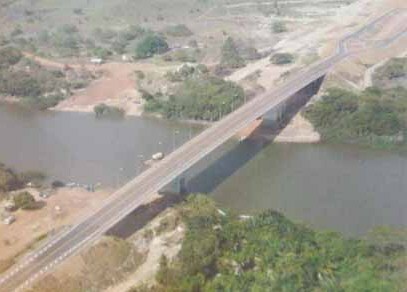 Since its completion in 2009, the Takutu Bridge now links the two nations, across the river where hucksters once illegally sneaked across the border under cover of darkness. In February 2010, Guyana became a signatory member state of the Union of South American Nations (UNASUR). On 17 October 2013, Guyana finally committed to a long-term relationship with Brazil. The Ministry of Education launched its Portuguese Curriculum for schools. Until more Portuguese teachers are trained, only five high schools in Georgetown will offer this additional option. Guyanese business owners or their representatives and trade professionals who seek to do business with Brazil should have some degree of fluency in the language. From my own experience in Brazil when acting as an English/Portuguese interpreter for visiting clients, I can tell you that a lot gets lost in translation. A whole new world of understanding and appreciation for another culture opens up to us when we can communicate with our business partners and the local population in their native language. French, Portuguese or Spanish: Which foreign language should I learn? This is the question young Guyanese high school students must now ask themselves. Perhaps it’s none of these three options. Considering China’s rise as an economic power, their choice might well be Mandarin or Cantonese.